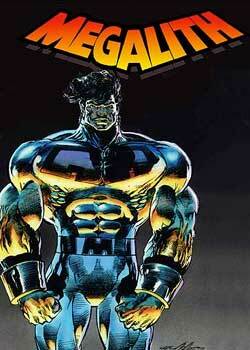 MEGALITH- Meg (Joe Majurac) is a teen, but he is also the strongest human on Earth. How did he become so? He trained every day of his young life, and when his parents were kidnapped he trained even harder in public and in secret until he attained the mind-body link. 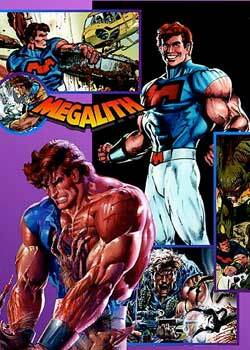 With that, Meg attained speed and power equal and surpassing master strong and powerful men of legend. Why? Agents of an international organization who will sell Joe to the highest bidder, as an Olympic Champion.